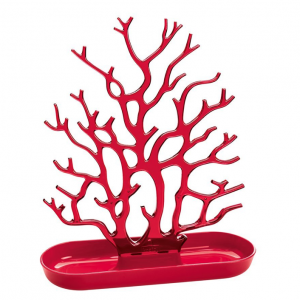 Organize your bling in style with this bright red cora shaped jewelry organizer. The branches make it ideal for rings and bracelets, and for the things you can’t hang can be placed in the dish below. A perfect gift for the lady in your life who has a love for all things shiny!